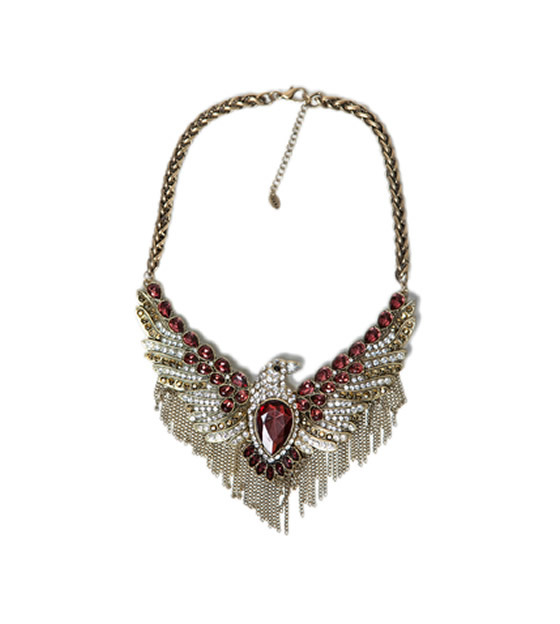 I was looking for a necklace with dark red stones. I saw some that I liked but none made my heart beat fast. When I saw this Zara necklace I thought to myself: That’s it! This is the one! 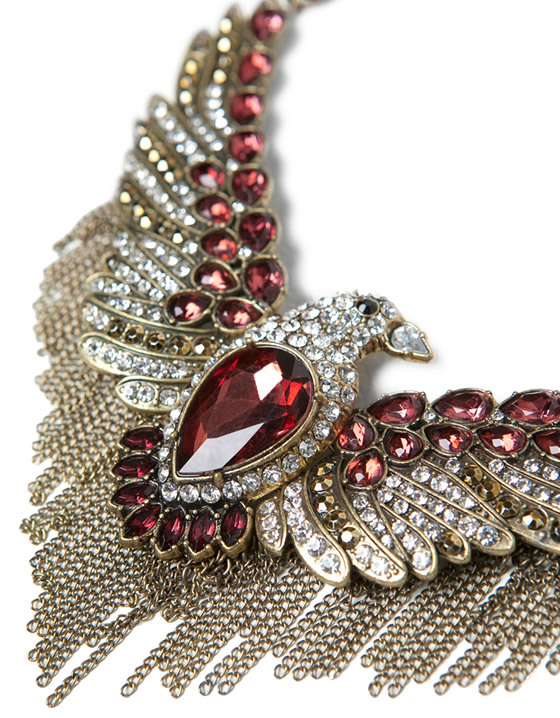 It is a strong statement necklace but it´s beautiful and very original. Mango Zebra Jumper: THE Sweater! I want some new black sunglasses! !